October 17, 2011 by Ken Ward Jr.
Perhaps Monday morning is as good a time as any to ponder what a world we live in. On Friday afternoon, Rep. David McKinley’s press agents were promoting his legislation to strip EPA of its ability to regulate toxic coal as as a “jobs bill.” On the House floor, the West Virginia Republican said anyone who voted against his legislation was personally responsible for the loss of 316,000 jobs — a figure he got from a fairly questionable industry report, and a number contradicted by another recent report. The US Energy Information Administration expects a 3.9% decline in the electricity generation sector’s coal consumption in 2012, it said Wednesday. That fall in demand is somewhat steeper than EIA’s expectations a month ago, in its September Short-Term Energy Outlook, when it forecast a 2.3% drop in consumption, data shows. Meanwhile, the EIA is expecting US coal production to decline by nearly 24 million st, or 2.2%, to about 1.045 million st in 2012 as domestic consumption and exports fall and inventories at electric power plants decline. In September, the agency expected 2012 output to be level with 2011’s levels at around 1.061 million st.
By region, output in Appalachia is expected to fall 5.6% to 319.7 million st in 2012. Production in the Interior is expected to drop 7.9% to 145.8 million st. Western production is projected to improve 1.4% to 579.6 million st.
October 14, 2011 by Ken Ward Jr.
Business can become more competitive, profitable and resilient by leading the transformation from fossil fuel to efficiency and renewables. This transition will build a stronger economy, a more secure nation and a healthier environment. 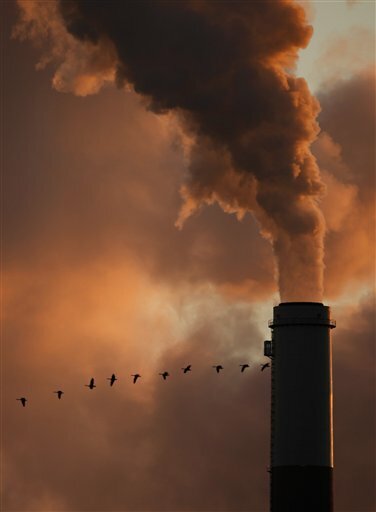 Coal fires the power stations that generate 45 percent of U.S. and 41 percent of world electricity … Burning coal emits sulfur and nitrogen oxides (causing acid rain), particulates, mercury and other toxic metals … Coal ash from power plants pollutes streams. Mining coal injures and kills workers and inverts landscapes. 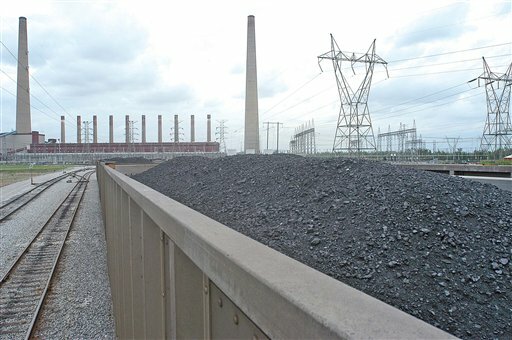 Such hidden costs of U.S. coal-fired electricity total $180 to $530 billion per year. Properly charging that on our electric bills, rather than to our health and our kids, would double or triple the price of coal-fired electricity. … Coal depletion, long assumed to be centuries off, may arrive unexpectedly soon. Coal resources had long been assessed with little or no attention to their exploitation cost. Recent reassessments of coal’s economic geology are more sobering, suggesting that ‘peak coal’ will occur within decades even in such coal-rich countries as the U.S. and China. Physical depletion could take much longer, but the cheap coal is going fast. … Business, motivated by enduring advantage, supported by civil society, sped by effective policy — can advantageously achieve the ambitious transition beyond oil and coal by 2050, and later beyond natural gas, too … New technologies, and new ways of combining them, can wring several-fold more work from the same amount of energy. Those efficiency gains then allow renewable energy sources, equally enabled by modern information technology, to by deployed faster. The transition will create new industries with vast potential for jobs, profits, and better, cheaper, more robust services. October 13, 2011 by Ken Ward Jr.
Coal industry, state may see decline. The coal industry has been a major force in keeping West Virginia out of a recession but the industry’s – and state’s – fortunes may be about to change. The Journal noted that companies reporting production problems have had their stocks hammered after they disclose bad news. From a larger perspective, the newspaper noted that the industry has become increasingly focused on producing coking coal. The Journal reported that global financial services firm Morgan Stanley has determined that while coking coal is less than 10 percent of total U.S. coal output, it accounts for about half of the sector’s earnings. October 4, 2011 by Ken Ward Jr.
A recent story by Associated Press reporter Dylan Lovan regarding coal production in Appalachia contained enough fact to create a headline, but the facts were lost amidst erroneous statements and distortions. Lovan asserted that – based on a report by the U.S. Department of Energy and another “study” by a Morgantown-based anti-coal advocacy group – that coal production in the Central Appalachian region is in the midst of an irreversible decline. Lovan further asserted that this decline is the result of the rapid depletion of quality coal reserves in the region, and that the anti-coal policies being pursued by the Obama administration through its regulatory agencies has little do to with the decline. As senior vice president of the West Virginia Coal Association, I assure you that this assertion is wrong. Lovan’s assessment is simplistic and amounts to little more than an acceptance of opinion – that of anti-coal extremists – as fact. And the projections of steep regional production declines also mirror those in West Virginia University’s “Consensus Coal Production Forecast,” published by the folks at the university’s Bureau of Business and Economic Research — hardly a bunch of anti-coal zealots. It’s true that the AP story quoted Rory McIlmoil, who used to be an activist working with Coal River Mountain Watch and is now a researcher with the Morgantown firm Downstream Strategies. But Rory’s must-read report from January 2010, “The Decline of Central Appalachian Coal and the Need for Economic Diversification, is based on U.S. Department of Energy estimates and projections — not just some cooked-up, anti-coal opinions, as Hamilton would have Daily Mail readers believe. Appalachian coal production declines substantially from current levels, as coal produced from the extensively mined, higher cost reserves of Central Appalachia is supplanted by lower cost coal from other supply regions. Increasing production in the northern part of the basin, however, does help to moderate the overall production decline in Appalachia. Keep in mind that these are projections not based on some sort of de facto Obama administration ban on new mountaintop removal permits, and certainly not on any national policy to try to reduce greenhouse gas emissions. July 14, 2011 by Ken Ward Jr. Regular readers of Coal Tattoo know that I believe Joe Romm’s blog, Climate Progress, is an essential source of information and commentary about global warming. Coal still plays a dominant role in the U.S. energy mix, accounting for almost 45% of American electricity production. But the economics of coal continue to change, making the resource look far less attractive today than it once was. Shale gas has some pretty serious environmental factors that need to be dealt with. But a combination of natural gas and renewable energy is far better than coal. With renewable energy prices dropping fast and natural gas prices depressed, we have a unique opportunity to a dent in coal’s share of the energy mix. The delivered price of coal increased three times faster than inflation over the past five years — Over the past five years, U.S. inflation has increased around 15%. During that same period, the delivered price of coal to utilities has gone up 54%, according to the EIA. In the last decade, the delivered cost of coal has increased 96%, with U.S. inflation around 30% over that time period. Since the beginning of 2011, the delivered price of coal has increased 3.1 percent. U.S. Coal mining productivity has declined 20% since 2000 — Improved technologies boosted coal mining operations from the late 70’s until the year 2000. But since then productivity has declined substantially. Across the broad, the EIA figures show decreasing productivity – with the country’s largest coal reserve, the Powder River Basin, declining by 7.2% between 2008 and 2009. These are things folks in coal country — especially our elected leaders — need to think about … Read the whole thing here. May 13, 2011 by Ken Ward Jr.
We were talking yesterday on this blog about the decades-old problem of West Virginia as natural resource colony, the fact that much of our state’s coal, gas and timber is owned by out-of-state interests and how parts of West Virginia that generate the most of these valuable products remain generally pretty poor. … The distinction Kessler makes between “wealth” and “jobs” from the coal industry may be a hard one for him to make given West Virginia’s long history with the industry. Of course, one reason it might be hard to successfully make this case is that media coverage of these issue is so bad. Today, of course, the Daily Mail hasn’t failed to disappoint, making my argument for me so clearly in an editorial headlined, Of course coal mining creates wealth in W.Va.
— A 2008 study found that the coal industry directly employed 20,454 West Virginians and paid them about $1.5 billion in wages that year. Total compensation rises to $2.8 billion. — In 2008, coal companies paid $676.2 million in taxes. Over a decade that would be $6.7 billion. — If the Obama administration, to cater to its political base, were to end surface mining in West Virginia, coal production would drop by more than 40 percent. Of the 537 mines operating in the state, 232 are surface operations. — Surface mining employ 6,255 people directly — and the employment of a large portion of the 2,340 people who work in coal-handling facilities depends on those mines as well. If the loss of $2.8 billion in compensation and $676 million in annual tax revenue would be called an economic catastrophe, what should the continuance of that revenue be called? This is what happens when the news reporting on these issues leaves out a whole bunch of facts that aren’t especially convenient for West Virginia’s coal industry, its friends in the media or its staunch defenders among our political elite. May 6, 2011 by Ken Ward Jr.
Maybe it’s unfair to criticize the Republican leadership of the House Committee on Transportation and Infrastructure for setting up such a one-sided, clearly scripted hearing aimed at piling criticism on the U.S. Environmental Protection Agency over the Obama administration’s crackdown on mountaintop removal coal mining. After all, the Democrats in the Senate held a mountaintop removal hearing that wasn’t exactly the most balanced affair around … and this is all just politics, right? Wrong … this is supposed to be about governing. And that’s why I’m a little sorry I used a pithy headline on yesterday’s post, House hearing: Let the EPA bashing begin! There are serious issues here on all sides, even if nobody wants to admit that the folks they happen to disagree with have legitimate concerns. Coal miners are rightly concerned about their jobs and their families’ futures. 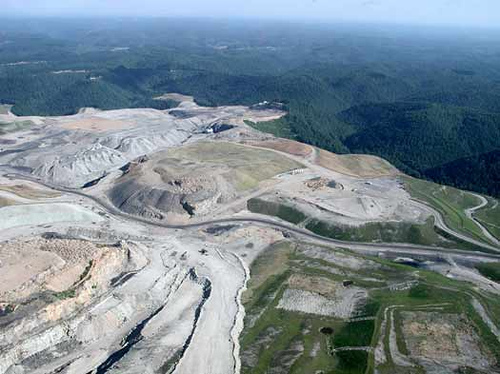 Folks who live near mountaintop removal mines are rightly upset about the way these mines impact their lives. Scientists are troubled about the growing data showing mountaintop removal’s negative effects on water quality, forests and public health. But it’s hard to take a hearing like this seriously when it is all so staged, such an obviously one-sided affair and carried out in a manner that does so little to point the region toward solutions that will help deal with the big issues facing the coalfields. And I wonder often if the vast majority of West Virginians — folks who don’t like mountaintop removal, also don’t like the idea of people losing their jobs, but don’t live their lives obsessed with hating coal or despising the EPA — are put off by the posturing from both sides. Really now … how far do the industry’s repeated nonsensical arguments about bottled mineral water not meeting EPA’s conductivity standard really get anybody in understanding the water quality issues scientists are worried about? And why do environmental activists persist in trying to make out like coal companies are actually dropping bombs on the people of Southern West Virginia? And that’s the way yesterday’s hearing went, though because coal’s friends in the GOP House leadership controlled the witness list, the industry’s side of this pointless political game carried the day. Coal industry avoiding major share of taxes? November 29, 2010 by Ken Ward Jr. The state Tax Department’s Property Valuation Training and Procedures Commission has declined to act on a request by the Assessors Association to develop a plan to appraise and tax coal under lease by coal producers. 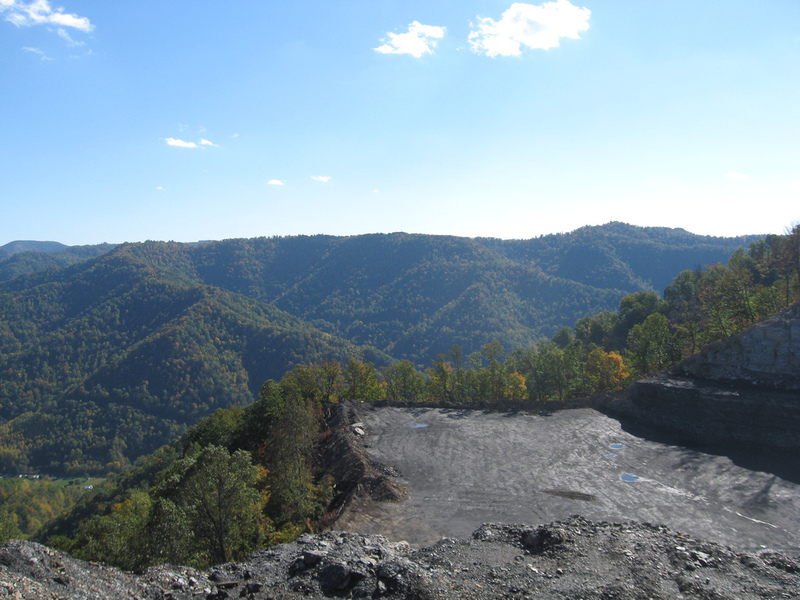 Appalachian coal often has two owners, the landholder and the coal producer or operator. The landholder has a real estate interest and can collect a royalty (on average about 6 percent of revenue from clean tons mined). Under the current system, the landholder pays taxes on coal reserves based upon a formula centered around that royalty interest. This process is called the Reserve Coal Valuation Model, and it was developed after lengthy litigation over reserve coal taxation in the 1990s. Active coal currently being mined also is valued based upon the royalty rate to the landowner under a different rule. But Casey said the lease-holder, or coal producer of active coal, also has a personal property interest in coal the company is mining. This is called chattel real interest. The term refers to personal property associated with leased land. It is supposed to reflect the value associated with that property interest over a period of time. Casey said that if the royalty rate for coal averages about 6 percent, then logically the state is failing to appraise, assess and tax on the remaining 94 percent of the revenue from production of that coal — the chattel real. He said that the current tax structure for producing oil and gas currently appraises and assesses taxes on both the royalty land-owner and the chattel real gas producer. Two property owners, two tax bills. But under the current system, where there are two owners of producing coal property, there is only one tax bill to the landowner. Peak coal: Coming to China? November 18, 2010 by Ken Ward Jr. 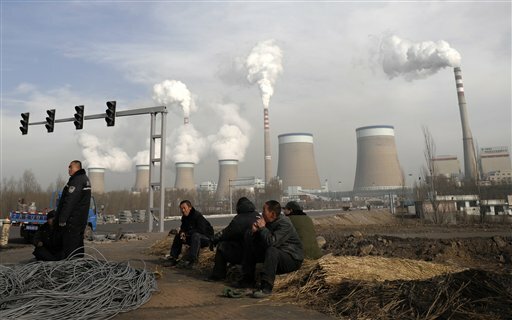 In this Dec. 3, 2009 file photo, Chinese workers take a break in front of the cooling towers of a coal-fired power plant in Dadong, Shanxi province, China. A Wall Street Journal piece this week called, “China’s Coal Crisis” is all the more interesting, given the lengthy Atlantic article in which James Fallows recently touted China’s work on carbon capture and storage as a possible path toward addressing global warming. State-run media reported that Beijing is considering capping domestic coal output in the 2011-2015 period, partly because officials worry miners are running down reserves too quickly to meet the needs of a rapidly expanding economy. “China accounts for around 14% of global coal reserves but its share of global coal consumption is already over triple that at 47%, which is unsustainable,” Hong Kong-based brokerage CLSA Asia-Pacific Markets said in a report last month. November 15, 2010 by Ken Ward Jr. 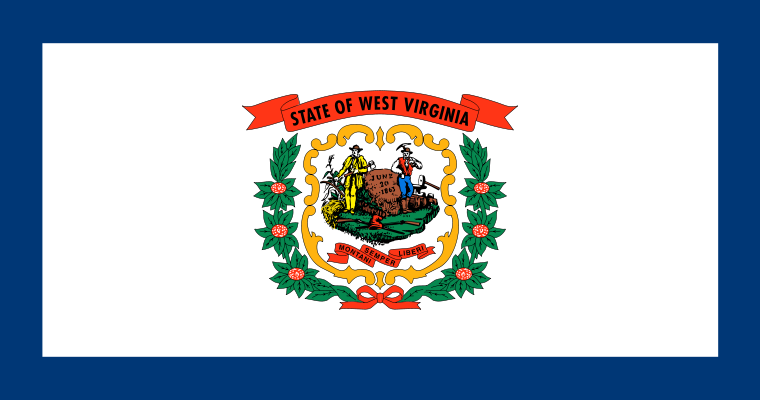 Following up on critics from the coal industry and from industry boosters at Marshall University, the folks at the West Virginia Center on Budget and Policy and Downstream Strategies have revised their major report, The Impact of Coal on the West Virginia State Budget. Their analysis shows that, overall, coal still costs the state budget — but not nearly as much as the initial report issued in June had estimated. The new figure is an annual cost to West Virginia’s government budget of more than $42 million. That’s compared to the $97.5 million estimate in the original report. 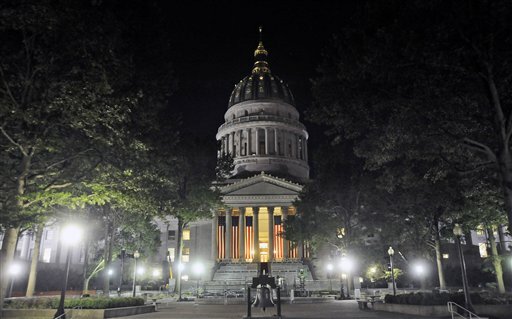 Downstream Strategies and the West Virginia Center on Budget and Policy revised their findings based on a review of criticism leveled at the original report by Cal Kent and Kent Sowards of Marshall University. You can read that criticism here and the original report here. We agreed with a number of their suggestions, however, several are simply mistaken and fail to acknowledge many of the costs associated with coal mining. After incorporating their suggestions that were valid, we found that the net impact of the coal industry for the state budget in fiscal year 2009 remains negative, meaning that the industry imposed an overall cost on the state and its taxpayers. — Local property taxes that impact the state budget — and not just state property tax revenues from coal — were added to the report. That added $31.5 million to the estimate of direct coal industry revenues. — The “purchase for resale” tax exemption should not have been included in the report, as most other states do not tax these intermediate inputs and the exemption is uniform across all industries. This $85.5 million was deducted from the original report’s estimates of expenditures by the state for coal. — The costs of thin-seam coal tax credits — $61.7 million — was added to the expenditures supporting the coal industry. September 14, 2010 by Ken Ward Jr. Yesterday, anti-coal activists were busy with their latest publicity stunt, dumping 1,000 pounds of rock and dirt from West Virginia in front of EPA headquarters in Washington, D.C. And today, the folks from the industry front group FACES of Coal continued their own PR diversion campaign as they departed Charleston for a big pro-coal rally in the nation’s capital tomorrow. 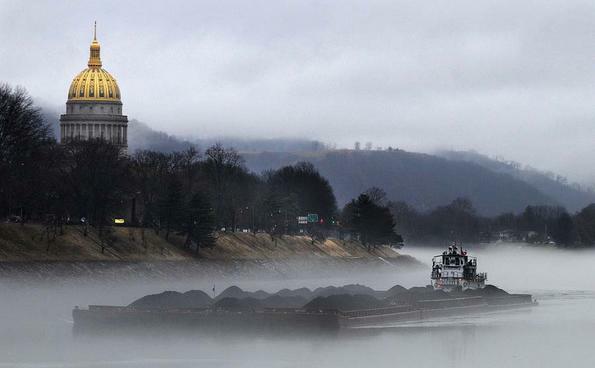 But deep in the bowels of the West Virginia Capitol, there was some major good news out of legislative interim meetings here in West Virginia this week: Finally, a discussion at the statehouse about the costs and benefits of the state’s coal industry. 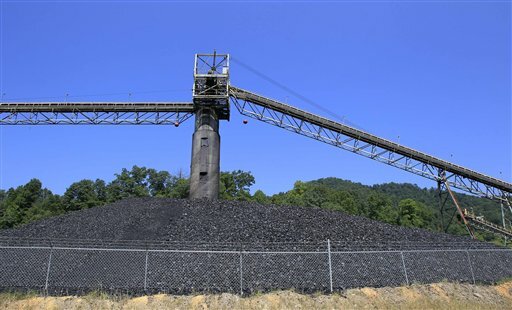 State lawmakers were asked Monday to consider increasing not only the state’s main tax on coal but also the fees and fines paid on the trucks that haul that natural resource. The recommendations were among a half-dozen from the authors of a recent report that concluded that the coal industry is costing the state budget more than it provides. The West Virginia Center for Budget and Policy and the firm Downstream Strategies presented their findings to a House-Senate legislative interim subcommittee. Their June report estimated that while revenues from the industry topped $600 million during the 2009 budget year, it cost the state $97.4 million more. The costs included $93 million spent repairing roads damaged by heavy coal trucks, and $173 million worth of tax credits and exemptions. The report drew some of its revenue-related data from a February study of the state’s coal economy by researchers at Marshall and West Virginia universities. The lead Marshall contributor to that study warned lawmakers Monday of flaws in the subsequent report. Cal Kent, Marshall’s vice president of business and economic research, said the June report omits property tax revenues and discounts the overall impact of severance-tax proceeds. 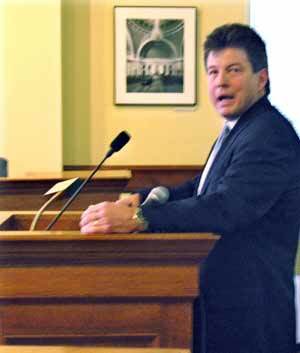 Kent also took issue with the way it counted tax exemptions as costs to the state budget. All told, Kent estimated that the industry provides $490 million more in revenues than costs. Kent and Marshall researcher Elizabeth Eastham also provided figures showing that West Virginia levies the heaviest tax burden on its coal industry when compared to a dozen other coal-producing states, including all five of its neighbors. September 13, 2010 by Ken Ward Jr. Following up on last week’s Coal Tattoo discussion of the latest study on “Peak Coal,” there’s an important piece in today’s Wall Street Journal about utilities making the switch from coal to natural gas. Power companies are increasingly switching to natural gas to fuel their electricity plants, driven by low prices and forecasts of vast supplies for years to come. While the trend started in the late 1990s, the momentum is accelerating and comes at the expense of coal. Some utilities are closing coal-fired plants; others are converting them to run on gas. The switch is occurring globally and is getting a push from regulators who want to limit emissions that contribute to climate change, haze and health problems such as respiratory illness. Though efforts in Congress to pass legislation attaching a price to carbon emissions appear stalled for now, utilities still anticipate eventual carbon restrictions. The Tennessee Valley Authority, for example, recently announced a 20-year development plan that emphasizes nuclear and gas, and includes fewer coal units. In China and India, though, no such shift is occurring—yet. Both nations rely on coal—an abundant local resource—for most of their power and lack the sort of integrated gas-pipeline networks that make switching to gas possible in the U.S. China’s government has pledged to roughly double the percentage of electricity the country gets from non-fossil sources, to 15% from 8%, by 2020. But much of that new energy will come from hydropower. 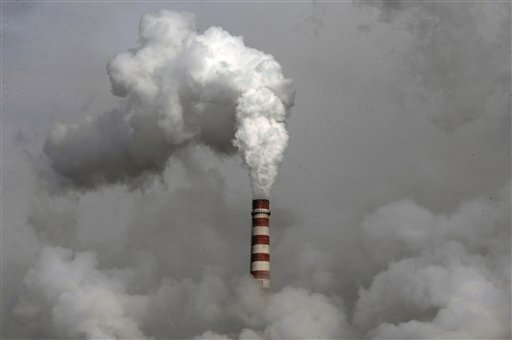 India, meanwhile, has agreed to cut its carbon emissions 20% from 2005 levels by 2020. But the country doesn’t have enough domestic gas to support a large-scale shift to that fuel, although government agencies are considering increasing imports of liquefied natural gas to take advantage of a growing global glut. The falling price of natural gas in the U.S., to about $4 per one million British thermal units, has helped gas capture an ever-increasing share of power generation. Hardly a week goes by without a company announcing changes that push coal to the sidelines, usually in favor of natural gas, renewables or nuclear plants. Peak Coal: Coming even sooner than we thought? September 10, 2010 by Ken Ward Jr.
We’ve written before here about Peak Coal, with previous posts here, here, and here. No matter how bad coal might be for the planet, the conventional wisdom is that there is so much of it underground that the world’s leading fuel for electricity will continue to dominate the energy scene unless global action is taken on climate change. But what if conventional wisdom is wrong? A new study seeks to shake up the assumption that use of coal, the most carbon-intensive fossil fuel, is bound to continue its inexorable rise. In fact, the authors predict that world coal production may reach its peak as early as next year, and then begin a permanent decline. The study, led by Tad Patzek, chairman of the Department of Petroleum and Geosystems Engineering at the University of Texas at Austin, and published in the August issue of Energy, predicts that by mid-century, the world’s coal mining will supply only half as much energy as today. The idea that the world will face “peak coal” as soon as 2011 flies in the face of most earlier estimates and analysis. July 2, 2010 by Ken Ward Jr.
That was part of the prayer offered last evening at the brief ceremony when Sen. Robert C. Byrd’s funeral procession reached the south steps of the state Capitol here in Charleston. There’s been so much written and said about Sen. Byrd in the last week that perhaps it’s pointless to try to write or say much more. But while the words of that prayer could be read many ways (watch the whole thing on C-Span), they certainly got me thinking about the important unfinished business political leaders in West Virginia’s coalfields have before them in the wake of Sen. Byrd’s passing. — First, Congress is still going around and around on a climate change/energy bill, and it’s hard to know exactly what direction that discussion is going. But what role will West Virginia’s remaining political leaders play? Will they, to paraphrase Sen. Byrd, “stick their heads in the sand” and continue to dispute the science and ignore the need to make meaningful reductions in coal’s greenhouse gas emissions? Senator Rockefeller did attend the White House meeting, which is part of the ongoing discussion about the future of energy legislation. Senator Rockefeller made clear to the President – as he has before – that, for him, energy discussions start and stop with the economy and jobs and he will not support any bill that hurts West Virginia families. He appreciates the ongoing dialogue with the White House and with his colleagues on both sides of this aisle on this important issue and believes these discussions will and should continue. Does the coal industry help or hurt West Virginia’s state government budget? The conventional wisdom is that coal keeps the state running, and is a — if not the — major driver behind the state budget (not the mention the overall state economy). That’s the argument consistently put forth for years by the industry, its friends in political office, and by various economists working for the mining lobby. While every job and every dollar of revenue generated by the coal industry provides an economic benefit for the state of West Virginia and the counties where the coal is produced, the net impact of the West Virginia coal industry, when taking all revenues and expenditures into account, amounted to a net cost to the state of $97.5 million in Fiscal Year 2009. That’s right — a net cost to the state of $97.5 million. The coal industry in 2009 paid $307.3 million in severance taxes, corporate net income tax, business franchise tax and other taxes. But, the state spends $113.7 million to support units of government that regulate mining and for the repair of the state’s coal haul roads. So, the report concludes that industry in this respect provided a net benefit to the state budget of about $193.6 million. The state provides variety of tax credits and subsidies that amounted to nearly $174 million in 2009 — all of which show up as “expenditures,” or costs to the state budget of the coal industry. (There’s a handy chart of all of the revenues and expenditures at the end of the Executive Summary of the report). 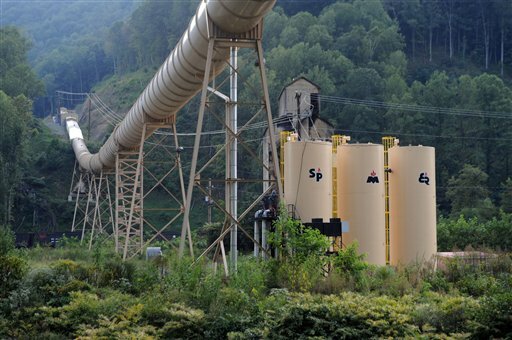 The report, written by Rory McIlmoil and Evan Hansen of Downstream Strategies and Ted Boettner and Paul Miller of the West Virginia Center for Budget and Policy, is similar to the previous analysis done on coal’s impact on the Kentucky state budget by the Mountain Association for Community Economic Development. It was being released today along with a similar report on coal’s impacts on the Tennessee state budget. Both reports are available online here. Broken down simply, the West Virginia report tries to account for all of coal’s contributions to the state budget and compare those contributions to the expenditures of state money made necessary by the coal industry. This is quite different from what is normally done in reports like the West Virginia Coal Association project released earlier this year, which promoted coal’s benefits but ignored any costs. Coal plays a significant role in West Virginia’s economy, contributing hundreds of millions of dollars in state and local revenue and providing well-paying jobs to tens of thousands of West Virginians. … the size of the coal economy, while substantial, is not as considerable as previous accounts suggest. Further, such accounts have only presented coal’s benefits; our estimates provide an initial aacounting of both benefits and costs. As estimated in this report, the industry itself — including direct and indirect employers — actually costs West Virginia state taxpayers more than it provides. Such an accounting is important, for projected declines in production, should they prove accurate, will further diminish coal’s contribution to state revenues, while the negative impacts resulting from coal industry activity will result in ongoing costs to the state and its citizens. Today’s release of the West Virginia and Kentucky reports is being promoted by the Sierra Club, and the West Virginia report was partly funded by the Sierra Club and the Natural Resources Defense Council (other contributors are listed in the acknowledgments section). And the authors previously issued another Coal Tattoo must read, The Decline of Central Appalachian Coal and the Need for Economic Diversification. Overall, the legacy costs associated with past and future coal industry activity must be considered in examining the total impact on the state. External costs resulting from coal industry activity, including the costs to human health, for repairing damage to personal property, and in the value of lost economic opportunities resulting from the loss of clean water and timber resources, for instance, were not considered in this report. However, they all represent real costs to society, and should be considered in any full accounting of the benefits and costs of the coal industry. — Maintaining the revenues currently generated by the workers’ compensation coal tax and creating a “Permanent Diversification Fund” that would support short- and long-term economic development goals and insure against the potential for future declines in coal-related revenues. — Increasing the coal severance tax rate and distribute the additional funds to coal-producing counties. — Increase the per-ton fee on coal haul trucks. As mining declines in the future, the potential loss of state revenues will make it even more difficult to cover the annual and legacy costs of coal. Therefore, state policy related to energy and economic development — to the extent that it supports the coal industry — should be reconsidered, and new policies should be enacted that reflect the recognition of these realities. October 13, 2009 by Ken Ward Jr.
As the Obama administration works out the kinks of its proposal to take “unprecedented steps” to reduce the environmental impacts of mountaintop removal, coal industry supporters are pulling out all of their old arguments: Limits on mining will turn off the lights and send the regional — some even argue national — economy plummeting even further into recession. But now, a newly released report commissioned by the Sierra Club has some important things to say about what ending mountaintop removal would do to the nation’s energy supply and the region’s economy. In short, the report dispels most of the myths: The nation can end mountaintop removal without sacrificing energy and jobs, and — in the long run — doing so might actually improve economies in the Appalachian coalfields. mountain top/valley fill mined coal for electricity supply. This new report highlights the benefits for Appalachia that would result from ending mountaintop removal mining and transitioning to clean energy jobs. We can have affordable electricity without mountaintop removal, and we can protect our communities, streams, forests and mountains at the same time. The new report was prepared for the Sierra Club by the consulting firm Synapse Energy Economics Inc. It’s dated Aug. 25, 2009, but was only made public today, perhaps to coincide with the start of public hearings on one of the Obama administration proposals to more closely scrutinize mountaintop removal permits. I’ve posted a copy of the report here. The net effect of restrictions on mountaintop removal on the Central Appalachian economy is uncertain, but a growing body of evidence suggests that the region’s dependence on coal for jobs has not proved a boon. Economic diversification in Central Appalachia would promote a healthier, more stable economy. Research continues to shed more light on the economic and health costs of coal mining. Peak coal: Coming to Appalachia sooner than you think? August 6, 2009 by Ken Ward Jr. Peak coal is an important topic for coalfield communities, and one that we’ve covered many times on this blog. See previous posts here, here, here, and here. For years, one of the major problems with coal policy has been the lack of reliable estimates for how much coal there is left that is mineable. Coal industry backers like to say there are hundreds of years of coal left.Â But the National Research Council warned a few years ago that there was not reliable information available to support such conclusions. USGS officials projected that Appalachia will reach “peak coal” (my term, not theirs) in perhaps about 10 years — by 2020.Â Check out the graphic above … Click on it to get a bigger version, or read Chapter H of the USGS study, Production and Depletion of Appalachian and Illinois Basin Coal Resources.